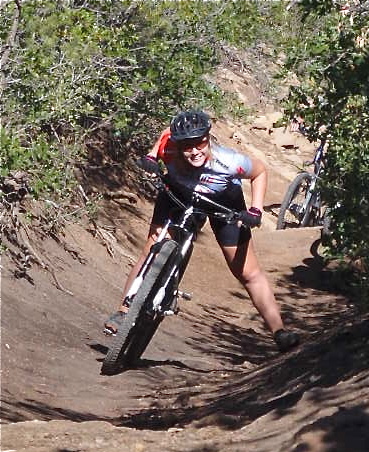 Written by Mrs. Erin O’Neill Garcia, Texas High School Mtb League Volunteer Coordinator. So Vance McMurry, our trusty cross-country navigator and League Director, knows exactly how many rest stops DOES it take to get to Durango from Austin? A whole lot more than two a day, that’s for sure! Besides the inevitable altering of the written plans for the day, the trip to Durango went beautifully and without a hitch. We made sure to check over all of the bikes upon arrival to Westlake High School on Saturday morning, and made a list of parts and work that any would need once we arrived to our destination. All of the 20 student athletes arrived on time, and despite the early hour (better get used to that this week!) there was certainly excitement brewing in the air. We packed the Huntsville trailer to the brim with bikes and luggage, piled into the vans, and were on our way. Colorado bound! The first leg of the day took us through Lubbock to scoop up Nick Gerard and then landed us in Clovis, New Mexico, where we would stay for the night. We actually arrived ahead of schedule despite the frequent and needed rest stops. We enjoyed a sit down Mexican dinner together and then headed down the street to the Comfort Inn for the night. It had been a long day on the road and we were all anxious to settle in for the evening. Early to bed and early to rise is the standard for the week, and Sunday morning was no exception. 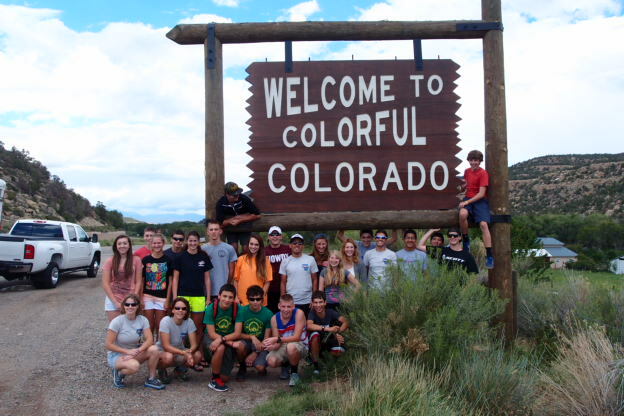 We were back on the road at 8am after a surprisingly delicious continental breakfast for another day of ipod playlists, car games, and rest stops through northern New Mexico. Once we finally got into mountain country, there was no containing our excitement any longer. 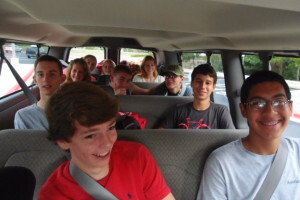 At least one student in our van had never seen mountains before in his life. He proclaimed to probably have taken about 200 photos through the windows to try and capture the fleeting moments. It was fun to get to experience the wonder of it all with him for the first time again through his eyes. 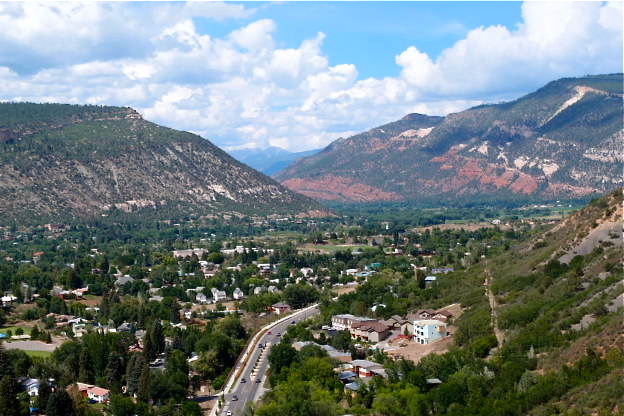 Durango is only about 40 miles from the Colorado border; it was almost as if crossing into the state changed everything around us immediately. I mentioned this to Alex Ward sitting next to me who admitted that he was thinking the very same thing. Finally reaching Colorado seemed to make the grass greener, the air clearer, and the mountains more majestic. We were finally here! Fort Lewis College sits on top of a mesa overlooking the city of Durango. There are literally mountain views from nearly every place on campus and in every direction. 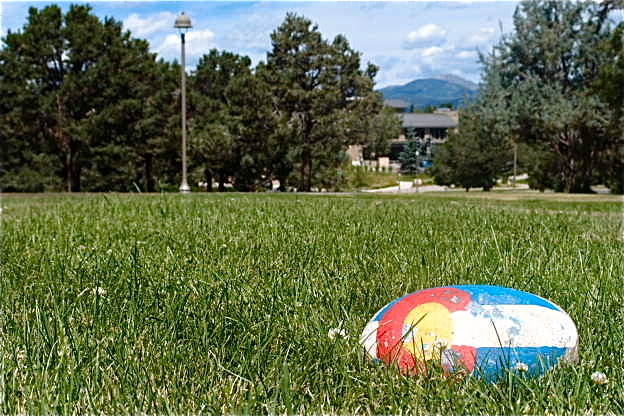 The campus itself is incredibly clean, manicured, and since it’s the middle of summer, we almost have it all to ourselves for the week. We couldn’t believe how beautiful this place is! Right as we pulled up to campus, we were met by 3 additional student athletes, Aiden Angelovich, Boone Flynn, and Jeremy Polansky , to complete our camp number of 23. Once we unloaded the van, got all of the bikes situated, the students moved into the dorm rooms at Bader Hall on the southeast edge of campus. Our building has a large common room in the middle of the building with seating for all. All around the edges are the dorms. The boys are two to a room downstairs, girls two to a room upstairs. Once everyone settled in, it was time to suit up and get on the bikes! 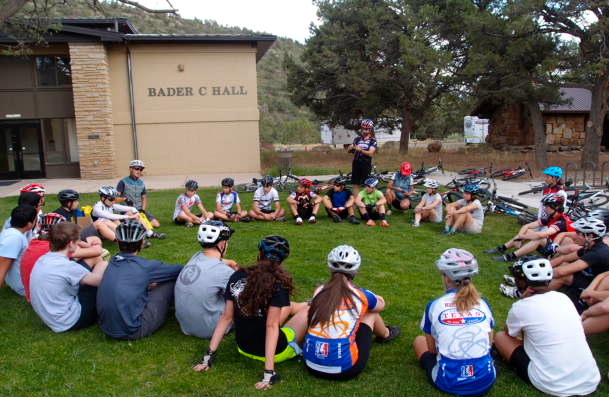 Chad Cheeney and Sarah Tescher, founders of the Durango Devo’s, and Elke Brutsaert, women’s strength and conditioning coach for the Fort Lewis Cycling Team, came over to show us some skills that would help us with the terrain around these trails. We ran through some quick ice breaker exercises and then dove right into wheelies and popping curbs. After a little practice session in the grassy yards between the dorms, the students and coaches headed out to the trails on the edge of campus to practice on the pump track a bit, work on cornering through the windy track, followed by slowly taking u-turns around trees to work on form while turning, into trackstands for balance. 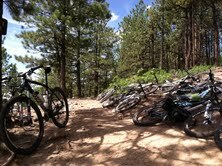 I have to say that each and every one on a bike, coaches and student athletes, rode off toward those trails rather enthusiastically. We had all been cooped up in the vans for the last two days and this was the first trail touchdown of the trip. It was an exciting moment for sure. Afterwards we made our first of many treks down the hill and across the street to the newly constructed student union for dinner. It’s only been around for a couple of years, and it’s super modern, sunny, and architecturally pretty darn cool. There are signs around that boast organic and local food, and encourage composting. Dinner was really good, there were lots of options; meat, pasta, veggies, a nice salad bar, soups, and perhaps a few too many kinds of desserts. We all ate pretty quickly and made our way back to the dorms for a quick meeting about the first full day of camp coming up, and finally, bed.